If you''ve never had any experience of martial arts before it can be daunting to know which one to choose. 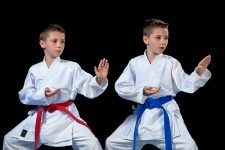 People often ask for specific styles of martial arts without knowing anything about the style. In general the type of martial art you choose depends on what you want to achieve for instance; self defence, physical fitness, competition fighting, strength, discipline etc. some styles can help you with all of these aims and others won''t help much at all. Unfortunately for most of these aims you won''t know whether the style you choose will fulfill your aim until you have given it a try. This is why we offer all our new students a 30 Day free trial first so they can have a no risk taster of what we have to offer. But for those of you who want a little more information first here is a brief outline of the types of martial arts available. The martial arts of the world break down into 2 broad types: armed and unarmed. Armed martial arts comprise such styles as; archery, fencing both eastern and western, kobudo (Japanese study of ancient weapons) and obviously firearms. One or two including the Castle system teach defence against weapons used in stabbing, cutting and striking. Many of the weapon based systems are impracticable for self defence though they are still popular and some are useful for keeping fit, though not many. Unarmed combat in the martial arts is by far the most popular and itself breaks down onto 3 broad divisions: striking styles which comprise kicking and punching, wrestling styles which comprise wrestling, grappling and throwing and finally styles which comprise both striking and wrestling. These styles come from around the world though mainly from the East. Styles such as: Boxing originally from Britain in its modern form or Karate from Japan, Kung Fu (there are 100’s of kung fu styles some of which combine all 3 elements) from China, Tae Kwon Do from Korea, Muay Thai from Thailand and Savate from France. In recent years kickboxing has emerged from both Europe and the US and has overtaken many of the more traditional styles. Wrestling (or grappling styles) come from all over the world too and include: Greco Roman, Freestyle, Catch wrestling, and the like. Then there is Judo, Brazilian Jiu Jitsu, Aikido and of course Japanese Sumo. Sombo from Russia, Indian Wrestling, and Turkish plus Lutte from around France and Italy. Which style you choose depends very much on what you want to achieve with your martial arts. Whether you want self defence, fitness, strength, confidence or self discipline. Some styles will give you one but not another whilst a few will give you all of these. So how do you find out which style is for you? Well, that is something you can only find out by taking action and giving it a go.